DORIN FRANKFURT has a knack for creating classic shoes that feel so modern at the same time. This point-toe pair is set on a retro block heel and has an adjustable slingback strap that make them easy to wear all day. 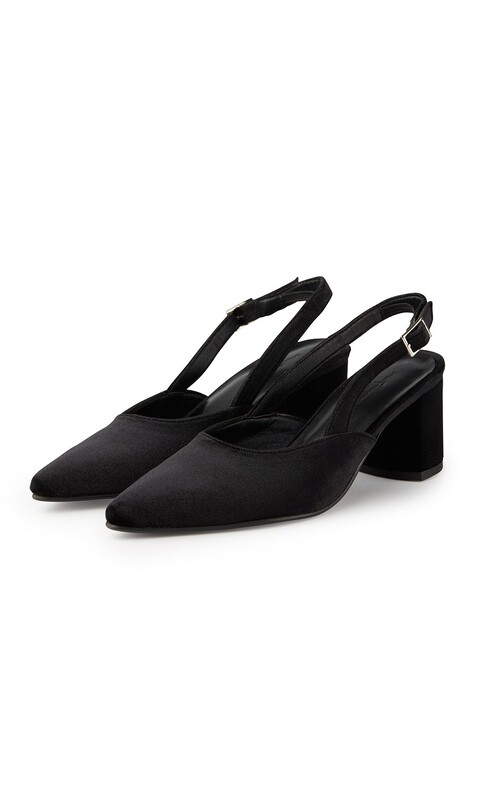 These pumps are available in black velvet and bronze leather.